The Artisanals are a Charleston, SC based band that coalesced in late 2016. 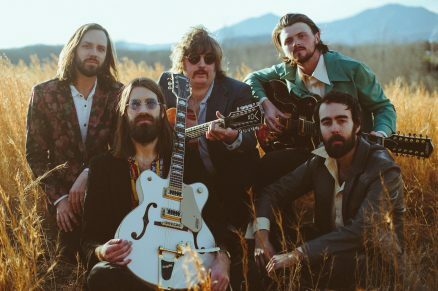 Fronted by the Charleston City Paper’s 2015 Singer-Songwriter of the Year, Johnny Delaware (formerly of SUSTO) and an all-star cast of local musicians, the Americana rock outfit has already shared the stage with global powerhouse Band of Horses on several U.S. dates. Having also played with Americana mainstays Nikki Lane, J. Roddy Walston, Daniel Romano, and Dylan LeBlanc, the band is set to break out in 2018 and has been featured in the Huffington Post, Paste Magazine, Daytrotter, PopMatters, & more. Produced by The Artisanals with Wolfgang Zimmerman, the forthcoming LP Literally, Anywhere is the first ever record to come out of the Magic Barn–a studio-converted barn in Iowa that was built around the Neve console and gear from New York City’s now-defunct Magic Shop Studio. Open from 1988 until March of 2016, the Magic Shop was a sought-after studio beloved by countless legends like Lou Reed and Blondie, for its vintage gear. Arcade Fire tracked The Suburbs there, and David Bowie recorded his last two albums, including Blackstar, at the Soho spot. With sonic influences ranging from the dream-pop work of George Harrison (“Angel 42”) to the stone-cold radio hits of bands like the Killers (“Roll With It”), the nine-track LP showcases Delaware and Houle’s knack for writing hooks as well as their ear for quality production. The album utilizes everything from a gong, organ, piano, sitar, French horn, trombone, and koto, to a string section sourced from the nearby University of Iowa. There’s no filler here; from start to finish, this record is a straight banger.